In Kenya, the Insolvency Act No. 18 of 2015 (the Act) consolidated and amended the various laws relating to the insolvency of natural persons, incorporated and unincorporated bodies. Subsidiary legislation, the Insolvency Rules, 2016, supplements the provisions of the Act. The Act applies to natural persons, partnerships, limited liability partnerships, companies and other corporate bodies established by any written law. This application is inclusive and encompasses entities and bodies established under statute laws, incorporated and unincorporated entities. Excluded assets for companies include assets where the company has no beneficial interest, assets held or obtained by way of bailment or hire purchase and assets held in trust for third parties. With regard to insolvency of natural persons, excluded assets include the bankrupt’s necessary tools of trade; necessary household furniture and personal effects (including clothing) for the bankrupt and the bankrupt’s relatives and dependants; and a motor vehicle valued at 1 million Kenya shillings. There are no specific insolvency procedures for government-owned enterprises in Kenya. The customary insolvency procedures under the Act apply. However, the dissolution of the state corporation is an executive decision subject to the advice of the State Corporations Advisory Committee under the State Corporations Act No. 25 of 2015. The creditors of government-owned enterprises have the same remedies as are available in the customary insolvency proceedings. Notably, Kenya has no specific legislation to deal with institutions that are considered ‘too big to fail’. The government’s financial bailout of such institutions is often discretionary, pegged on political and economic factors and is never guaranteed. Kenyan industry legislation has gradually moved to remove factors that make certain entities large and powerful enough to hold the state economy to ransom. These subsidiary laws provide for uniform regulations and restrictions that ensure industry players operate in a level playing field, promoting fair competition. The High Court of Kenya (Commercial & Admiralty Division) handles bankruptcy and insolvency proceedings. Appeals from the High Court lie in the Court of Appeal in some instances with leave of the court and in some instances, without leave of the court - depending on the specific decision being challenged. The Court of Appeal requires that the appellant posts security of costs that are assessed based on the value of the appeal and the nature of the reliefs sought. Voluntary liquidation procedures may be commenced by the company’s members, directors or creditors. When the majority of directors of the company make a statutory declaration under section 398 of the Act, it is deemed to be a members’ voluntary liquidation. Voluntary liquidation under the Act should be sought: when a period fixed by the articles for the company’s existence expires or when the articles prescribe that in the occurrence of a certain event the company is to be dissolved and such an event occurs, and the company in general meetings has passed a resolution providing for its voluntary liquidation; and if the company by way of special resolution resolves to be voluntary liquidated. The debtor must pass the resolution to undergo the voluntary liquidation. The requirement to pass the resolution is that the company must give notice to all members eligible to participate passing in the resolution and must notify any holder of any qualifying floating charge in respect of the company’s property. The meeting where such resolution is passed must fulfil certain conditions: a notice period of seven days must pass from the date the notice of the meeting is issued; the persons receiving the notice must give written consent to passing of the resolution; and the decision must be made by a special resolution constituting of majority of not less than 75 per cent of the members (a class of members). The voluntary arrangement procedure for companies may be commenced by several persons (the proposers); the directors of the company, the administrator of a company under administration or the liquidator of a company under liquidation. The proposers when making such a proposal must propose a supervisor to oversee the voluntary arrangement. They must publish notice of the meeting where the proposal is to be presented to the creditors or members in a newspaper of wide circulation as well as notifying the proposed supervisor specified in the proposal. They must also provide the proposed supervisor with the document setting the terms of the proposal and the financial statement of the company. The effect of the voluntary arrangement is that it binds every creditor or member of the company who is entitled to vote at the meeting of creditors or members including persons who would have voted had they received the notice of the meeting of the proposed arrangement. There is no provision for distinct classification of creditors in a successful reorganisation that is not done for the purposes of reorganisation. However, the secured and preferential creditors must give their written consent. The approval of the proposal for reorganisation as aforementioned is subject to the court’s approval as per section 630 of the Act. Reorganisations depend on the terms specified in the proposal. Arrangements such as compromise may release non-debtor parties from liability. A compromise agreement in this context referring to where the creditors agree to terms that have the effect of fully and absolutely extinguishing the debt owed in its entirety, irrespective of whether the actual amount set in the terms is less than the actual debt owed. A creditor must prove to the court that the company owes them at least 400,000 Kenya shillings and that they served a statutory demand. If the creditor is a holder of an execution or other process in respect of debt on a judgment or order of court that execution or process must have been returned wholly or partly unsatisfied. The material difference between the involuntary liquidations and voluntary liquidations is that the creditor institutes the involuntary proceedings and such proceedings must be based on the inability of the company to pay debt owed to which a statutory demand has been issued. Involuntary reorganisation of companies by creditors is not provided for under the Act. Expedited reorganisations are only available to natural persons under Part IV, division 1, subdivision 2 of the Act. The procedure is available when the debtor is an undischarged bankrupt; the official receiver is specified in the proposal as the provisional supervisor in relation to the proposal; and no application for an interim order for voluntary arrangement has been made as per section 304 of the Act. A dissenting creditor to the proposed organisation can challenge the proposal by making an application in court under section 629(4) of the Act. The application should be lodged within 30 days of the day of the meeting of the company and the creditors. What the court considers is whether the proposal was approved by a majority of the secured creditors’ group; whether the proposal discriminates among the members of the dissenting group or groups of creditors to an extent that they will be no worse off than they would have been if the company had been liquidated; and whether the proposal respects the priorities of preferential creditors over unsecured creditors. The Act outlines corporate procedures for the dissolution of corporations and such procedure differs from bankruptcy proceedings in several ways. Dissolution of corporations is under the office of an official receiver and must be supervised by an appointed liquidator. Decision-making process during dissolution must be by way of resolution, which must be lodged for registration at the companies’ registry. The Registrar of Companies must also be served with all court orders relating to the bankruptcy of the corporations for registration. Bankruptcy proceedings on the other hand are conducted by the bankruptcy trustee and decision-making majority vote. Insolvent companies may be placed under administration under a qualified professional in the industry for the purpose of guiding the entity to financial turnaround. In circumstances where it is fair and just to wind up the insolvent company, the court can make a winding-up order against the company. This order is then required to be submitted to the Registrar of Companies, who in turn enters the name of the company in the register of wound-up companies, thus bringing the process to a close. A debtor is deemed to be insolvent when they are unable to pay their debts as they fall due and upon issuance of a statutory demand or where value of assets is proven to be less than its liabilities (including prospective and contingent liabilities). There are no mandatory requirements in law to commence insolvency proceedings and certain entities continue to conduct business, albeit balance sheet or cash flow insolvency. Company directors and officers are not customarily held personally liable for the obligations of the company unless they are found to have made decisions in breach of their fiduciary duties towards the company; have participated in fraudulent trading; or wrongful trading; or where they have given personal guarantees. If found liable by court, directors may be ordered to compensate the company or third parties. The new Act has, however, enhanced personal direct liabilities of directors. The Act outlines offences relating to conduct before and during liquidation and criminal proceedings relating to those offences. These offences include, but are not limited to, concealing property of the company; concealing and falsifying any company document; fraudulent removal of any part of the company’s property; disposing, pledging or pawning property of the company. Civil suits to recover company property or assets can also be instituted against the directors and officers of a company. No. The director duties to the company are paramount during a company’s insolvency and reorganisation and at no time do they shift to creditors. The powers of the directors vest in the liquidator or provisional liquidator when court makes the liquidation order against a company and the directors cannot make decisions over the affairs of the company. They do, however, retain a residual right to challenge the liquidation process. Pursuant to section 428 of the Act, at any time after the making of a liquidation application, and before a liquidation order has been made, any creditor may, if legal proceedings against the company are pending in the court, apply to the court for the proceedings to be stayed; and if proceedings relating to a matter are pending against the company in another court, apply to the court to restrain further proceedings in respect of that matter in the other court. A moratorium on the other hand can be obtained by a debtor on debt payments when a company’s directors propose voluntary arrangement. Notably, a company that is in liquidation is ineligible to obtain a moratorium. The debtor, through the liquidator, can carry on business for the purpose of winding up the business of the debtor. Creditors who supply goods or services after the filing have priority over other creditors as their cost is a cost or expense borne by the liquidator. The court and the creditors have supervisory powers to query, through motions filed in court, business activities of a liquidator. A debtor in a liquidation or reorganisation may not obtain secured or unsecured loans or credit. Under the Act the liquidator, with the creditor’s approval, however, has power to borrow money for the beneficial realisation of the company and give security for the borrowing over whole or part of the property comprised in that estate’s assets. Such a loan or credit shall be prioritised under the preferential creditors group. The Act provides for power of the liquidator to sell any of the company’s property by public auction or private treaty with power to transfer the whole of it to any person or sell the same in parcels. Ordinarily, the purchaser acquires the assets ‘free and clear’ of all claims. However, in a voluntary arrangement where the property being disposed is subject to a security or held under credit purchase transaction, the transfer shall be as if it was not subject to the security but only if the holder of the security consents or if the court approves. Under the Act, the liquidator has the power to sell any of the company’s property as stated in question 24. The sale procedures are not provided for in the Insolvency Act. The sale procedure, therefore, is at the liquidator’s discretion by virtue of the said powers vested upon him or her and as such is at liberty to employ the ‘stalking horse’ bids or credit bidding in the sales procedure. Under the Act, the debtor has no right to reject or disclaim an unfavourable contract. Contracts that have been fully performed are incapable of being rejected as there are no outstanding obligations. Further, the Act provides that the bankruptcy trustee may disclaim onerous property. Onerous property has been defined as: an unprofitable contract; property of the bankrupt that is unsaleable, or not readily saleable, or that may give rise to a liability to pay money or perform an onerous act; and a litigation right that, in the opinion of the bankruptcy trustee, has no reasonable prospect of success or cannot reasonably be funded from the assets of the bankrupt’s estate. Within 14 days after the disclaimer, the bankruptcy trustee shall send a notice of the disclaimer to every person whose rights are, to the bankruptcy trustee’s knowledge, affected by it. The Act provides that effect of the disclaimer is such that it terminates, on and from the date of the disclaimer, the rights, interests and liabilities of the bankruptcy trustee and the bankrupt in relation to the property disclaimed; and does not affect the rights, interests or liabilities of any other person, except in so far as is necessary to release the bankruptcy trustee or the bankrupt from a liability. Where the debtor breaches a contract after the insolvency case is opened, the affected party may claim breach of contract and pursue damages in the liquidation. In the event of liquidation or re-organisation, the licensor or owner of the intellectual property may terminate the debtor’s right to intellectual property, but this will, however, depend on the terms of the licence agreement between the licensor and the debtor. In liquidation of a company, intellectual property may be rendered as onerous property by the liquidator. In this regard, the Act provides that the liquidator may disclaim any onerous property and the disclaimer operates so as to terminate the rights, interests and liabilities of the company or in respect of the property disclaimed. The Act does not provide for restrictions to the use of personal information or customer data collected or their transfer to purchaser by a company in liquidation or reorganisation. Kenya does not have data protection legislation in place. There may, however, be a limit in use of the date on the basis of terms and conditions under which those data were collected in the first place. The use of arbitration in liquidation is not that common and may feature in certain matters relating to disputes arising from the purchase of members’ shares. All disputes are subject to arbitration with consent of parties or by order of the court. Commencement of liquidation proceedings does not bar creditors secured by charges from enforcing their securities. In the Act, a landlord who claims rent arrears as against a debtor may levy distress for the recovery of rent. The landlord shall be successful in this manner if the landlord has distrained the goods or effects of the bankrupt during the 30-day period before commencement of the bankruptcy. Unsecured creditors can pursue their claims through the normal court process, which is time consuming, costly and in most cases, uncertain. Pre-judgment attachments are available through the Civil Procedures applicable in Kenya, but only if certain conditions are met. Pursuant to the Act, a liquidator shall make available for the satisfaction of unsecured debts such portion of the company’s net assets where a floating charge relates to the company’s property. The Act provides that, where a company has passed a resolution for its voluntary liquidation, a notice shall be published setting out that resolution. Thereafter, the company that is in the course of liquidation shall convene a meeting of the company’s creditors. There are two kinds of creditors’ meetings: first meeting of creditors and subsequent creditors’ meeting. In the case of liquidation by the court, the official receiver may appoint a qualified person as liquidator instead. The official receiver shall send a notice of the appointment of the liquidator to the company’s creditors. The directors of the company in the course of liquidation shall prepare a statement setting out the financial position of the company that shall specify the details of the company’s assets, debts and liabilities, names and addresses of the company’s creditors, the securities held by them respectively, and the dates when the securities were given. The liquidator shall lay before each of the creditors’ meetings an account of the liquidator’s acts and dealings, and of conduct of liquidation during the preceding year. The liquidator has a duty to share information and the creditors have a right to access information in the hands of the liquidator by, if necessary, moving to court to compel the liquidator to share the information. The creditors on the first meeting, if they think appropriate, appoint a liquidation committee of not more than five members who shall inspect the accounting records, the company’s financial statement and carry out the necessary inquiries on behalf of the creditors. The representatives are selected by consensus of creditors, but normally the value of the debt plays a role in the vote that the creditor has. The creditors may retain advocates or certified public accountants to inspect the documents on their behalf. The remuneration of those experts is recoverable under the Insolvency Act, if the amount is incurred in protecting, preserving the value of, or recovering those assets. The creditors may contribute towards or pursue a claim on behalf of the liquidator from the estate. Although the power to assign rights to pursue a claim are not expressly provided for under the Third Schedule of the Act, the liquidator may assign such right or where the company may not have funds to pursue the claim under provisions 13 and 14, power to appoint an agent to do any business that the liquidator is unable to do personally and power to take all other action that may be necessary for the beneficial liquidation of the company. The fruits of the remedies belong to the company and shall be vested in the liquidator for the benefit of the creditors and can be assigned to third parties as long as such assignment is for the benefit of the liquidation of the company. A creditor (including a creditor who has a preferential claim) who wishes to claim in the bankruptcy shall submit a creditor’s claim to the bankruptcy trustee before the deadline for submitting claims. The deadline is either the time specified by the bankruptcy trustee in a notice given to the creditor or the time specified in an advertisement published by the bankruptcy trustee in a newspaper widely circulating in the area in which the creditor normally resides or carries on business. On the hearing of an application by the official receiver, the bankrupt or a creditor on the grounds that the bankruptcy trustee improperly allowed a creditor’s claim, the court may make an order cancelling the creditor’s claim or reducing the amount claimed, if it considers that the claim was improperly allowed or was improperly allowed in part. If a creditor’s claim is subject to a contingency or the amount of the claim is uncertain, the bankruptcy trustee may estimate the amount of the claim. The debtor has to disclose transfers that were effected just before liquidation to avoid mischief. Under the Act, the court may, in the case of an unlimited company, allow to the contributory as a set-off money due to the contributory or the estate that the contributory represents from the company on any independent dealing or contract with the company (but not money due to the contributory as a member of the company in respect of a dividend or profit). If, in the case of a company (whether limited or unlimited), all the creditors have been paid in full (together with interest at the official rate), money due on an account to a contributory from the company may be allowed to the contributory as a set-off against any subsequent call. There are no statutory provisions for circumstances when then the creditors’ right of set-off is deprived. Pursuant to the provisions of the Act, if the court makes an order against officers of the company and others found to have participated in fraudulent trading by the company in liquidation, it may direct that the whole or any part of any debt owed by the company to that person, and any interest on the debt ranks in priority after all other debts owed by the company and after any interest on those debts. Apart from employee-related claims, other major privileged and priority claims in liquidations and reorganisations, as provided in the Act, include: the expenses of the liquidation such as the liquidator’s remuneration; costs for the person who applied to the court for an order placing the company under liquidation; and amount of costs incurred by that creditor in protecting, preserving the value of or recovering those assets (this has priority over the secured creditors), and outstanding taxes due to the Kenya Revenue Authority. the employer has paid to an employee declared redundant severance pay at the rate of not less than 15 days’ pay for each completed year of service. Employee claims are likely to be increased where large numbers of employees’ contracts are terminated. Section 615(6)(e) of the Act provides that the occupational pension schemes from company’s property have priority over holders of floating charges. This is because it is classified under liability arising under a contract of employment adopted by the former administrators or predecessors before the termination or adoption and the salaries and wages due under such contracts that unpaid contributions to occupational pension schemes. In effect, if there is a deficiency in the occupational pensions scheme of a company immediately before the insolvency of such company, it is a preferential debt ranking ahead of the holders of floating charges of the company. The priority in employee claims under plans and schemes during liquidation and restructuring, however, depends on the type of scheme in question. Actuarial variations of pension schemes are provided for under the Retirement Benefits Act, Number 3 of 1997. The Retirement Benefits Authority requires that defined contribution schemes to be valued by an actuary from time to time unless all benefits are secured by an insurer or if all benefits equal to an accumulated contribution. The said Authority ensures regulation of pension schemes to reduce pension liabilities and promote accountability and good faith by employers. Therefore, claims arising from defined contribution schemes can be brought against the insurance or the employer will rank as a secured debt during insolvency. The Retirement Benefits (Minimum Funding Level and Winding Up of Schemes) Regulation 2000 provides that members of a scheme (employees) in liquidation and insolvency shall be treated as deferred creditors in their claims as members and shall not be settled until after the debts of the ordinary creditors have been settled during restructure and liquidation. They have the same remedies as those of unsecured creditors in customary insolvency procedures. The liability arising from environmental problems may be civil or criminal in nature. Where there are environmental problems within the company’s premises, the ‘polluter pays’ principle shall apply, meaning that liability is imposed on the party who caused the pollution. Therefore, if the company is found responsible, resulting from its operations, it shall be liable to remediate the damage caused as appropriate, whether it is by paying a penalty or undertaking a clean-up process. This obligation falls on the liquidator once he or she is in place, as environmental damage is usually a continuing injury. If a secured creditor enforces a mortgagee and becomes a mortgagee, he or she shall be liable for the environment liabilities accruing thereto. Where the environmental problem is caused by a third party, they shall be held personally liable. No further claim can be brought against a debtor once a liquidation process has been concluded. An example of such a liability is a person seeking to execute a judgment or award that is issued once a winding-up order has been granted. The distribution is made by the liquidator once debts have been proven and the liquidator has recovered funds from sale of assets of the debtor. The liquidator of course has to take into account the order of priority as set out under the Act. In reorganisations, the payments are made as per the terms of the scheme of arrangement as approved by the court. The principal securities on immovables are equitable mortgages (are also known as charges) and legal mortgages. The principal securities on movables are liens (a possessory right to retain the debtor’s asset until the debt is repaid), fixed charges (providing security over a particular asset, for example, bank accounts or insurance proceeds) and an equitable mortgage. A transaction that is undervalued can be annulled. This is when a company makes a gift to a person or otherwise enters into a transaction with a person on terms that provide for the company to receive no consideration or a company enters into a transaction with the person for a consideration the value of which in money or money’s worth is significantly less than the value in money or money’s worth of consideration provide by the company. An extortionate credit transaction can be annulled. This would be a situation where the insolvency office holder notes that a credit was overpriced or a transaction was entered into during the three years immediately preceding the date on which the company entered administration or where a liquidator was appointed in respect of the company. A transaction may be annulled if it is based on certain preferences. For example if the person is one of the company’s creditors or a surety or guarantor for any of the company’s debts or other liabilities or the company does not act or allows an act to be done that (in either case) has the effect of placing the person in a position that if the company were insolvent liquidation is better than the position the person would have been in had the act not been done. The court or a creditor can challenge any such transaction. The application must be made without unreasonable delay and the end result if successful is that the entire transaction is reversed. The Act provides for what is referred to as first priority claims and it then follows that there are restrictions on claims by related parties or non-arm’s length creditors as the first priority claims take precedence. This would be applicable in instances where the corporate veil is lifted but is in very exceptional circumstances. This lifting of the corporate veil means a situation in which the courts put aside the limited liability and hold a corporation’s shareholders or directors personally liable in the corporation’s actions or debts. It should be noted this would also apply in cases where fraud is proved and also in instances where there is, or it is shown there was, a direct or deliberate intention to put assets beyond the reach of the creditors by the parent or affiliated corporation. No, and it would not be in the best interests of the company to combine the assets in one pool for distribution. Yes, foreign judgments or orders are recognised. There is a law in Kenya that is the Foreign Judgments (Reciprocal Enforcement) Act, which allows enforcement of judgments given in countries outside Kenya that accord reciprocal treatment to judgments given in Kenya and for other purposes in connection therewith. In the absence of the reciprocal arrangement, a foreign judgment is enforceable in Kenya as a claim in common law. The countries known to enjoy this reciprocal arrangement are Australia, Malawi, the Republic of Rwanda, Seychelles, Tanzania, Uganda, the United Kingdom and Zambia. It should be noted that the same law does allow the Minister in charge at the time of foreign affairs to extend application of the Act to other countries that have made or will make reciprocal arrangements for the enforcement of Kenyan judgments. Yes, the UNCITRAL Model Law adopted by the United Nations International Trade Law on 30 May 1997 and approved by the General Assembly of the United Nations on 15 December 1997 has been adopted in Kenya. With the adoption of the UNCITRAL Model Law by Kenya, which simply provides for internationally recognised and accepted guidelines on cross-border insolvency and also provides for cooperation and coordination between jurisdictions, the Insolvency Act 2015 allows foreign creditors to access foreign courts in Kenya. The foreign creditor would therefore apply to commence insolvency proceedings in Kenya and would equally be allowed to participate in the proceeding under the law as creditors in Kenya would. An administrator is usually appointed to manage the company affairs and property of the insolvent company. The law provides that an administrator may take any action that contributes to or is likely to contribute to the effective and efficient management of the affairs and property of the company. The assets may therefore be transferred if the administrator has determined that the asset did not or does not form part of the company’s property. It should be noted also that, because the objective of the administrator is to ensure the best return to creditors, they cannot consent to transfer without evidence that the asset did not form part of the company’s property or that there was a sale of assets for value. 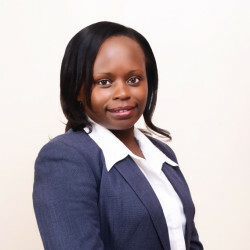 In Kenya, there is no test to determine the COMI provided in the legislation governing insolvency; however, as the COMI concept forms part of the UNCITRAL Model Law, which Kenya has adopted, it may be an option for parties to consider forum shopping to move the COMI of a debtor company to a jurisdiction with a more favourable restructuring or insolvency regime. Yes, Kenya provides a system for recognition of foreign insolvency proceedings. The law provides that an application may be made in court for recognition of the foreign proceeding in which the foreign representative has been appointed. if there is no statement identifying all foreign proceedings in respect of the debtor that are known to the foreign representative. 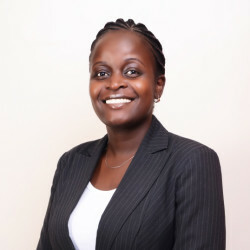 Kenya is yet to enter into cross-border insolvency protocols as there first needs to be harmonisation in terms of cooperation and communication of interests between states before this area of law can become a reality, though it would be important to note that with the enactment of the Insolvency Act No. 18 of 2015, Kenya can be said to be moving in the right direction. The enactment of the Insolvency Act has seen the introduction of corporate rescue mechanisms for companies that would previously have been forced into liquidation, which often resulted in losses for both the creditors and the shareholders. More particularly, insolvency does not serve as a death sentence for companies and two such general rescue mechanisms have been advanced as follows: Administration and Company Voluntary Arrangements. helping to realise the property of the company to make distributions to secured or preferential creditors.